The best system of self-defence for the average person is just simply the system that he is most willing and likely to learn. It is the average person (and not the handful of men of exceptional physique) who must be considered in this discussion. He wants to know from which system – Boxing or Ju-jutsu – he is most likely to gain the means of defending himself. He is only going to give a moderate amount of time and energy to learning any system at all; he is only going to gain a smattering of knowledge and skill, and the real question at issue is simply this: is a smattering of Ju-jutsu better than a smattering of boxing? Now, in all the world there is one small country in which quarrels are settled by the exchange of fist blows – the men neither grappling nor throwing one another. In this same country, only a certain class of men really stick to this artificial method; and further, even among this class the artificial rules are broken in a considerable proportion of actual encounters. Men have an instinct to grapple. Again, the artificial method of combat we are considering must be learned by the study of boxing. Natural advantages of weight and strength count for so much, and science counts for so little in boxing, that men are actually classed by weight. To top off the absurdity, this boxing is found so little attractive, that 999 out of a 1,000 men never learn even its first principles. The average person can’t afford to go to business with a black eye, he doesn’t like ‘being knocked about’ uselessly, he sees little prospect of his ever learning enough to be of any real use, and so, as a solid, undeniable fact, he does not learn Boxing. 1. Ju-jutsu will be of service anywhere in the world as a means of self-defence, while boxing can never be of such universal utility. 2. Ju-jutsu actually does attract the average man, and he is really likely to get useful results from a smattering of it. Boxing does not attract: nor is a smattering of it any use. 3. Ju-jutsu demands no exceptional natural advantages of size, weight or strength, and therefore is of use to all sorts and conditions of men. Boxing isn’t. 4. A man can go as hard as he likes; every contest is to a dead finish: and the beaten man rises without strain or bruise ready to begin again. Boxing has to be practised (among the general public) under all sorts of artificial agreements about ‘not hitting heavy,’ ‘points,’ ‘rounds,’ and foregoing the advantage when a man has been knocked down. It is notorious that good boxers often show to poor advantage in a street fight, even when fists are used. If you were to take a pair of twins, and give one a certain training in boxing and the other an identically equal amount of training in Ju-jutsu; and if you then set them to fight and note the result, and care to repeat the experiment with a 100 sets of twins, then you would know the relative values of Ju-jutsu and of Boxing, apart from the practical everyday considerations that affect the question. To set a Ju-jutsu man (say Miyake) to fight a boxer (say Jeffries) would prove absolutely nothing except the personal merits of the individuals concerned. 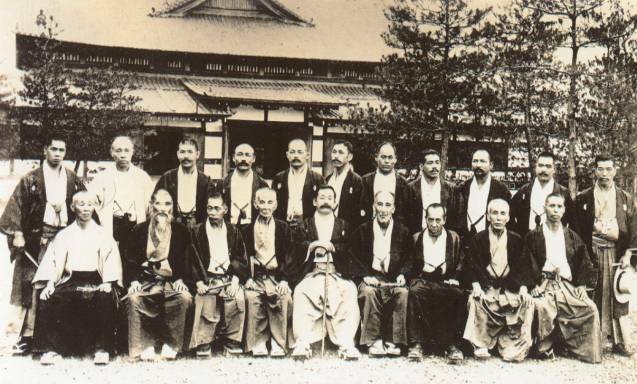 The Japanese School of Ju-jutsu, 305 Oxford Street, W.
This entry was posted in British Ju-Jitsu & Judo on April 18, 2018 by tmboggskc. This entry was posted in Terminology on April 16, 2018 by tmboggskc. 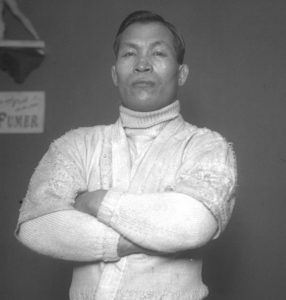 How would you like to get up at four o’clock on a bitterly cold January morning, and wrestle for two or three hours with no covering but a thin, loose tunic and knee breeches, when the wrestling mats are frozen hard, and the garments you wear are quite stiff with frost? (asked Tarro Myaki of a London journalist). Yet that is what we ju-jitsu wrestlers do in Japan — at least, those of us who are very keen, and are anxious to harden our bodies and to practise endurance. Very often after such a morning I have been so sore and chafed that the clothes I wore made me smart all over. But I have turned out again next morning, all the same, until my skin got hard enough to withstand the cuts and scrapes of the hard mats. 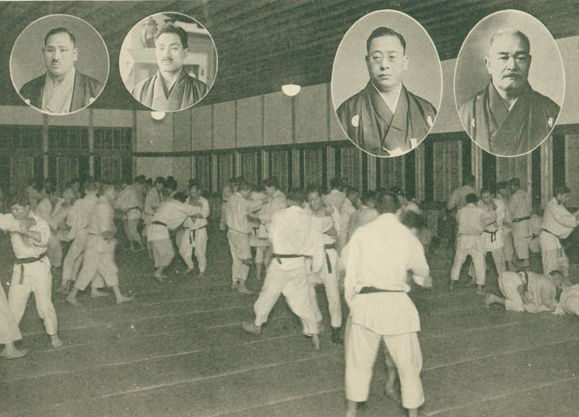 Although, like all Japanese boys, I was in a way familiar with ju-jitsu — for is it not as much a part of our national schooling as your football, cricket, and other games? — yet it was not till I was eighteen years old that I took it up in so keen and determined a spirit as to lead me eventually to become the champion of my country. This was principally because I had other things to do, and did not have the time to devote to my favorite sport till I reached that age. When I did begin, however, I made up for lost time. I entered upon my apprenticeship, so to speak, to the art of self defence with the fixed determination to reach the top of the tree, and with this end in view I concentrated all my attention upon learning the tricks of throw and lock which were shown me, and making myself more proficient at them than those who taught me. That I was successful in my endeavors you may guess, when I tell you that at the end of a year and a half I went in for and won my first contest. This first success set the final spark to my enthusiasm, and two or three subsequent defeats in minor matches, such as every beginner must suffer, fanned it into a flame. My improvement during the nine months which followed was so rapid that about that time I obtained my first position as instructor. 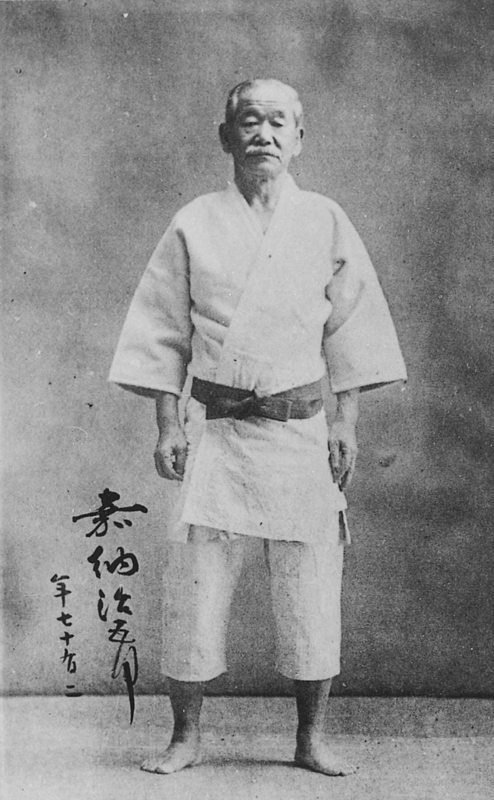 Until I was twenty-one, and apart from my duties as instructor, I studied ju-jitsu under one of our most famous teachers, Tanabe, and, although I was still very young, he entrusted me with all the secrets of his school, for in Japan, there are distinctive “schools” of ju-jitsu, just as you have distinctive ‘schools’ of art. Each school has some special little tricks and secrets of its own, which are only fully disclosed to its pupils when they reach a certain proficiency, or years of discretion. When I was twenty-one, I was appointed instructor to the police at Kioto, and during the time I was there I still went on learning, studying at that time in the great Uyemura School. Here, again, I proved my self so proficient that I learnt their secrets before I moved on to Osaka to teach the police there. At Osaka I worked under another great teacher, Handa, and in this way I mastered the secrets of three distinct schools of ju-jitsu. During, and subsequent to this time I went in for numerous contests, and I am probably more proud at being able to tell you that I have never been beaten in any important match than your English gentlemen are of winning the Derby. It was in Osaka, last May, that I went through the most trying contests I have ever taken part in, and achieved the greatest success of my career by beating all who opposed me. For this an unusual honor was paid me in the shape of a gold medal, which was presented to me by the Crown Prince of Japan. I have also received a sword of honor from Prince Komatsu, the President of the Butokukai — our national society for the encouragement of ju-jitsu, fencing, and other sports. What I am specially proud of, however, is that at the age of twenty-two I was admitted to the fifth degree in ju-jitsu. This is rarely attained before the age of thirty five, and then is conferred more as an honorable recognition of a closing career than as the reward of real proficiency. Now I suppose you will want to know something about my training. Well, that is soon told. My only training has been hard work. We Japanese athletes pay no attention to diet, but just eat and drink and smoke like everyone else. But those of us who are specially keen go through trials of endurance which the others will not face. What sort of condition I am in you may judge from the fact that from ten o’clock in the morning, when I commence giving lessons in the Japanese school of Ju-jitsu, which Yukio Tani and I have founded in London at 305 Oxford-street, till eleven o’clock in the evening, when I finish my last bout on the stage, I am practically wrestling all day! All my efforts now are centred upon trying to make ju-jitsu champions out of other people, but, although you Englishmen are eminently suited to become experts, it is difficult to get you to take it seriously. You take it up as an amusement and an exercise, but you do not persevere and stick to it till you become expert. Englishwomen, I think, are far quicker to learn it than the men. I have more than one lady pupil who is very expert, indeed, and I should be sorry for anyone who attacked them now. I find hard work agrees with me, and I have an excellent appetite. I conform to your ways now that I am in England — which is a country I like very much indeed — by eating English food at English times. That is to say, I have breakfast, lunch, tea, and dinner, all of them at regular times except the last, which is what you call a ‘movable’ feast’ with me. I have it whenever I am hungry. This entry was posted in British Ju-Jitsu & Judo on April 15, 2018 by tmboggskc. This entry was posted in Dai Nippon Butokukai 大日本武徳会 on May 3, 2017 by tmboggskc.